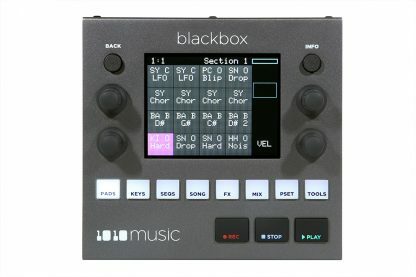 Take music creation beyond your computer with Blackbox, a compact sampling studio with intuitive touchscreen control. It’s a complete music creation workflow—at your fingertips. We have a limited quantity of this preview edition of the blackbox. Full production units are estimated to arrive in May 2019.